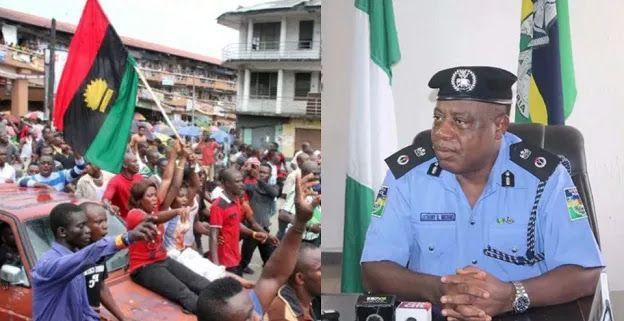 Abia State Commissioner of Police, Mr. Anthony Ogbizi, has warned that anybody found with Biafra emblem will be arrested and charged to court. .
Ogbizi who stated this while parading 7 suspected members of the Indigenous People of Biafra, IPOB, explained that with the proscription of the group by the South East governors, it has becomes illegal for anyone to operate under IPOB or adorn Biafra emblems. .